Novice and experienced wine drinkers share the need for basic wine knowledge particularly when it comes to selecting, buying and serving wine while entertaining. 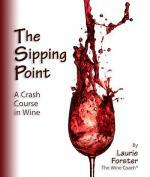 LoveToKnow Wine recently interviewed Laurie Forster, Wine Coach and author of The Sipping Point: A Crash Course in Wine. 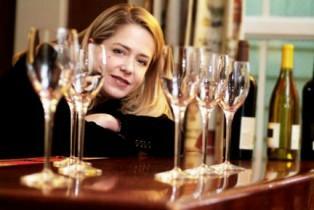 Laurie is certified in Viticulture and Vinification from the American Sommelier Association. She shares her wine knowledge and some excerpts from her book in down-to-earth tips on adding wine to your dining and entertaining experience. LoveToKnow (LTK): Is it best to offer a red and a white wine with dinner or should you select one wine to serve based on what you are serving for dinner? Laurie Forster (LF): I believe it is always best to have options. That being said, I sometimes choose a wine pairing for each course of the meal but let guests have two glasses each so they can taste your selections with multiple courses. So, even if the Cabernet was the pairing for the beef, they can drink it with the fish if they like. This side-by-side comparison helps people to really see why some wines go better then others. For each dinner party I usually select a sparkling wine, a white, a red and a dessert wine. LTK: Are there some basic guidelines on what wines to select to pair with certain types of foods? Desserts? LF: Like milk--skim, whole and cream--wines can be distinguished by weight: light-bodied, medium-bodied and full-bodied. Higher alcohol content usually means a fuller bodied wine. As a general rule, light-bodied wines are seven to 11 percent alcohol, medium run between 11 and 13 percent, and full-bodied are over 13 percent. Given that basic wine knowledge, the most important food and wine pairing rule is to pair heavier foods with heavier wines, lighter fare with lighter wines. This is pretty intuitive. For instance, a crisp summer seafood salad would be overwhelmed by a hearty Cabernet. A light, fruity Pinot Grigio would be lost paired with a New York strip steak. Then there are other reactions that can affect a pairing like the fact that salt lowers your perception of the acidity or the pucker factor you get from some wines like Sauvignon Blanc. In my book The Sipping Point I go over the most important food and wine reactions to consider. Sweet foods like dessert should be paired with wines that have matching sweetness. Try to drink a dry wine with your dessert and you'll find it tasteless or bitter; but, with a glass of ice wine or port…yum! LTK: Which wines work best when serving wine at a holiday gathering when the guests have varying levels of wine experience? LF: Wine experience is only limiting in that many beginners are wary of wines they have not yet tried. I find that beginners can be open to virtually any wine if you can properly explain the wine and possibly relate it to something they know. For instance, offering something new in this way would be a winner, "Would you like to try the Austrian Gruner Veltliner? It's a lot like a Sauvignon Blanc with citrus flavors, bright acidity (or pucker factor) and a touch of white pepper. I know you will love it!" The safest wines for a party, however, would be Chardonnay or Pinot Grigio for whites and Merlot or Cabernet Sauvignon for reds. These are the most well-known grape varietals in the United States. LTK: Are there any good non-alcoholic wines? LF: No. If you need to abstain, consider making drinks with fruit juice and mixers like ginger ale or club soda. There is a great recipe for Faux Champagne that uses 4 cups of both club soda and ginger ale mixed gently with 3 cups of unsweetened grape juice. Besides, wine is just fermented grape juice anyway! LTK: Does Champagne have to be expensive to be enjoyable? What's a good Champagne to serve at a New Year's Eve party? LF: Expensive is not necessary; but, it is a fact of life that true Champagne from France can be pricey. A value-priced Champagne will begin at around $30 dollars. There are, however, lots of French sparklers made outside the region of Champagne that are delicious and a fraction of the price. My personal favorite for any night or a toast on New Year's is an Italian sparkler called Prosecco. It is made in the region of Veneto in northeast Italy from a grape of the same name. While Prosecco does not make great still wines, the bubbly it creates is heavenly. A bit lighter and fruitier than Champagne, it is always a hit at my events. I have not met a person who has not enjoyed a glass of Prosecco! Another option is Spanish Cava made in the Penedes region of northeastern Spain. Made exactly like Champagne, it is also a great value. LTK: Is there an easy way to estimate the amount of wine to purchase for a dinner party? For a party? LF: For a cocktail party, assume each wine-drinking guest will consume a five-ounce glass every hour. If you've invited 20 wine-drinkers and plan a two hour party, that's five ounces per hour times two hours, so each person will drink 10 ounces. Now multiply 10 ounces by 20 guests which equals 200 ounces needed, divided by 25 (approximate number of ounces in a bottle) equals eight bottles. There are 12 bottles in a case-whew! Often wine stores offer discounts for purchasing a case or more so you may want to consider buying a case with the few extra bottles. If serving special wines at a dinner party, you can use a similar equation. But the total will depend on the number of courses, different wines you'll serve, and the general pacing of the evening. A rough rule of thumb: one bottle per person. LTK: What is the best serving temperature for wine? LF: White wines are ideally served at 45 to 50 degrees Fahrenheit. The aromas and flavors intensify as the wine warms. Chilling reduces the perception of acid in crisp wines, bolsters whites with less acid, and makes it more refreshing! Champagne and sparkling wines should be served a bit cooler, at around 40 to 45 degrees Fahrenheit. Reds at room temp? This was true before central heating, when house temperatures ran 50 to 65 degrees Fahrenheit. Today, "room temperature" is often considerably warmer. Red wines should be served at 60 to 65 degrees Fahrenheit. If served cooler, tannins (or bitter flavors) are accentuated. Soft reds low in tannins can handle a lower temperature. LTK: Is there a way to chill wine quickly? LF: The quickest way is to soak wine in a mixture of ice and water for about 20 minutes. Although not ideal, in a pinch you can use the freezer for emergency situations. Just don't forget about the wine in there or it will be a Popsicle! LTK: Does wine have to be decanted before serving? LF: There are two main reasons to decant wine. One is to remove the sediment, which is more often found in wines with ten or more years of bottle age and older vintage ports. The other reason is to soften young tannic wines, like Cabernet Sauvignon, through aeration. The astringent or dry finish you get from these youthful reds will soften with decanting. Applying the expert tips and suggestions presented here can help you make informed decisions and allow you to select, purchase and choose wine with confidence.